Contact Us or Request a Free Consultation! I admit it, I didn’t attend the Advocacy Conference (then the Grassroots Conference) until 2012. At the time, the conference was always around the time of my employer’s annual fly-in and the calendar never lined up. When AIA moved their fly-in date to March and I could go, something again got in the way. My colleague went those years instead, and believe me, it was worth the trip. She returned with a 120-page notebook full of ideas on programs we could implement, ideas that worked and helped other groups increase their advocacy footprint, and testimony to the lessons learned from ideas that didn’t work. She was inspired and energized to get moving. There was so much to be done! A few years later I attended my first Advocacy Conference and I left with the same feelings. As part of an industry that has rapidly changed over the years and having served on the planning committee for the conference, it’s essential to share common experiences, goals and gain new perspective of how others manage problems similar to your own. If you are attending the Advocacy Conference for the first time, don’t be surprised that many of the attendees are just like you: ready to attend the first session of the morning, ready to ask questions, and share ideas. Yes, the case studies and panels are stellar, but the breakout discussions are where the real ideas are shared and professional networks are built. While it’s easy to say that the best breakout is going to be on Advocate Recognition (which I am leading), all of the sessions have value. The council also does a great job welcoming newcomers through the conference mentoring program. But in case you lose your mentor, there are always friendly people from team Aristotle and plenty of parties and events with an open bar to connect with peers. Don’t find yourself on the plane home, wondering where the time went and why you’re leaving with all your business cards still in your briefcase. Use these tips to have the best conference you can. 1. Come up with a game plan before the conference starts. When it comes to a big conference like this, there are almost TOO many great panel and session options to choose from. If you wait until the day of the conference to plan your schedule, you’re sure to miss out on something great (like my breakout session Tuesday afternoon – Speed Brainstorming: Advocacy Challenges and Opportunities). 2. Bring plenty of business cards, and introduce yourself! If this is your first time attending or you’re at the conference alone, don’t be shy. Moderators, speakers, and facilitators like myself are here to help. And if you’re a returning attendee, you know the best use of your time is a new introduction. You never know who could be a new connection for you and your business. 3. Follow the conference hashtag to see what’s happening in real time. The best way to see any conference updates during the conference – other attendee’s photos, updates from different panels, or anything that changes will be the conference hashtag. And if you’re following along, you’ll see the Aristotle team in action! 4. Check the vendor booths for the best swag. You’ll be getting a conference tote bag – hope you’ll recognize the logo – so make sure you fill it up with awesome swag to take home. And stop by Aristotle’s booth while you’re there! 5. Networking, networking and then keep networking. I can’t say it enough: conferences are the best time to get face-to-face meetings with people you might not see otherwise. From chatting with new clients to catching up with old friends, you need to make sure you’re networking! These are my best tips – I hope you’ll send us yours! Follow us on Twitter at @AristotleNews or on Facebook and send us your best #AristotleConferenceTips. Get more information on how we can help you improve your PAC and Grassroots strategy here. 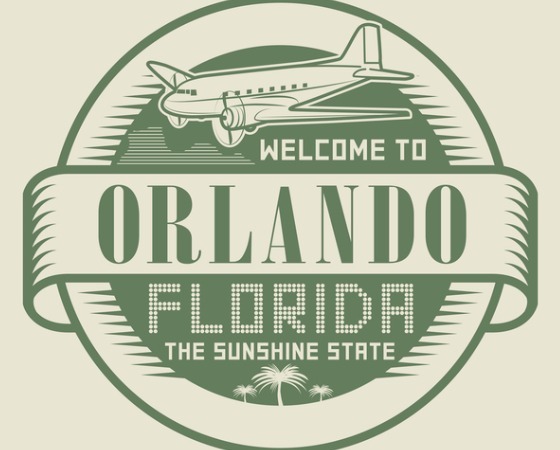 See you in sunny Orlando!